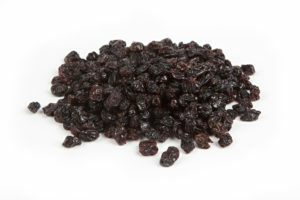 1,320 tons of Natural (sun-dried) Seedless (NS) raisins were delivered to handlers. 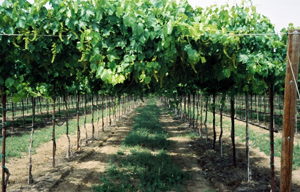 1,383 tons of all varietal types were delivered. 1,480 tons of all varietal types were delivered for the same period last year. 300,352 tons of NS raisins have been delivered for the year-to-date. This compares to 360,066 tons of NS deliveries as of this date a year ago. 340,807 tons of all varietal types have been delivered YTD, compared to 400,158 tons in 2013-2014. 13,766 tons of the NS deliveries for 2014-15 crop year are organic. 2,709 tons of NS are held on memo storage. 1,034 tons of NS are held for reconditioning. The RAC May 2015 shipment report of Natural (sun-dried) Seedless (NS) Raisins shows that domestic shipments (including Canada) were 14,626 packed tons, compared to 19,444 tons in 2014 (-25%). Year-to-date domestic shipments are 160,889 packed tons compared to 166,855 tons at this time in 2014 (-4%). NS export shipments (without Canada) for May 2015 were 8,174 packed tons, compared to 13,051 tons in 2014 (-37%). YTD export shipments are 94,276 packed tons, compared to 119,014 tons a year ago, a decrease of 21%. NS shipments to all destinations year-to-date are 255,166 packed tons, compared to 285,868 packed tons for last year (-11%).